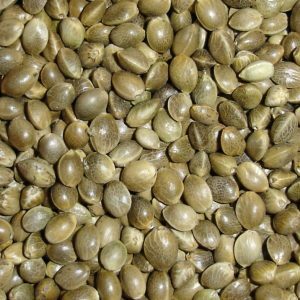 If you’re looking for the types of cannabis seed available in the market, you’ve landed on the right page. As a cannabis enthusiast, you want to make sure that you have the best cannabis seeds, or rather, the right cannabis seeds. There are actually no seeds that are the “best”, it’s about preference and what type of seed you want. So that you can grow the cannabis plant that you want! In our journey, beginning now, we will take a thorough look at the best marijuana seeds, so that you can make sure that your time growing the seed actually is worth it. We are completely unbiased, so you won’t run into us trying to promote our own products as being superior, rather, our mission is to provide the green rush community with unbiased tips and reviews. The most common asked question, we get, is “Which is the best place to buy marijuana seeds?”, and that is why we made this website – to weed out (pun intended) the scamming and overpriced sellers of cannabis that have surged during the green rush we’ve seen lately (and will continue to see as more of the states start legalizing the use of recreational marijuana). Before we continue our journey, we’ll help you figure out what type of cannabis seed you’re looking for. 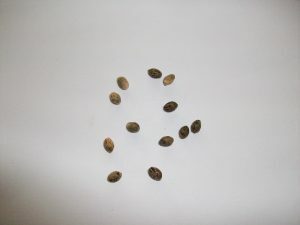 Are you already aware of what type of seed you want, and just want to find the best place to buy cannabis seeds online? Then visit our article about the best cannabis banks here! If not, continue reading to find out! There are 11 different cannabis seeds that you can pick from. In this section, we will go through each and every type briefly so that you can get a taste of what seed you should be looking for. Once you’ve figured out what type of seed you’re looking to buy, you can click the name of the type, and be redirected to a specific article just about that type of cannabis seed – and from there, you’ll be listed with the best-of-the-best in that specific type of seed. The list will be in the order of popularity. The popularity of feminized seeds have exploded and have now become the norm in the green rush community. Prior, the regular seed, which was mixed 50/50 male-female were the most used seed. 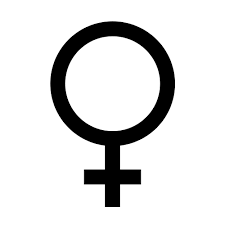 When a seed is feminized it means that it is 100% female and will only produce female plants. Why do people care so much about the gender of the plant you may ask, well, if you’re growing you are probably sought after the buds, and those are produced solely by female plants. Male plants don’t grow buds and are therefore quite useless (they pollinate the female plants and make the female plants produce seeds rather than buds, which is great if you want more seeds, although keep in mind that, those seeds won’t be feminized. It’s not so good if you want buds to have male plants pollinating the female plants so that all their energy goes into making seeds, rather than bud, though). If you grow regular seeds, you’ll have to plant more seeds as 50% of them will turn out to be male plants. If you use feminized seeds, however, all the plants will produce buds/flowers and you will yield a bigger return of buds per seed. The regular seeds contain 50% male and 50% female seeds. This results in 50% of the seeds turning out to be male, and therefore are 50% not useful unless you want to produce more seeds (as they pollinate the female plant so that she produces more seeds). 50% will turn out to be plants that produce strains. If you solely want to seed plants that produce buds, then the feminized seed is the way to go. If you want to produce your own seeds and make the process cheaper long-term, you can use regular seeds and produce your own seeds in the future. This is a great way to get cheap cannabis, but requires more space as only every other plant (generally speaking) will produce a bud. Do not only seed 2 seeds and think that 1 of them will be a female. It’s a 50% chance, but it could become 2 males or 2 females. It’s good to seed a few seeds at the same time so that you are sure that you get the bud you’ve been waiting for weeks on. Auto-flowering seeds are not bound to have their 12-hour light per day, and is perfect for those that don’t have access to light 12 hours per day (as a normal seed would require), whether it being indoors or outdoors. The auto-flowering seed will grow even though it’s not exposed to light, and most auto-flowering seeds will be ready to harvest within 10 weeks from seed. The auto-flowering seeds is not a seed per se, it’s actually a type of cannabis plant. Therefore, you can buy a feminized auto-flowering seed, to only produce plants that actually produce buds and skip the male plants. You can take any type of seed and mix it with auto-flowering to fit your exact needs! The first type of autoflowering seed we’ll mention is the most popular one, it’s the autoflower Indica seed. The Indica seed is the next most popular seed overall and therefore a popular choice when buying autoflowering cannabis. The effect of Indica, as we said before, is being relaxed and almost stereotypical to the stoner-in-couch-eating-muchies stereotype. It’s the fastest to grow and is, therefore, the most popular one among breeders and home growers. Sativa gives you more of a high in your brain. You can become euphoric and feel really good about everything and everyone. It requires a bit more time to grow and is, therefore, more expensive to buy if you were to buy Sativa buds. We’d not recommend it as a first-time plant, but if you are more experienced and want to grow cannabis Sativa yourself, then go ahead! The combination between Indica and Sativa is called a hybrid seed. If you want to grow a hybrid seed while not having as much access to the light as normal seeds would require, then autoflowering hybrid Indica/Sativa seeds are the way to go. With hybrid seeds, you’ll experience the best parts about Indica and Sativa. The combination is magical and we would recommend anyone trying it, yes, even you grandpa! Indica seeds are commonly used to get relaxed before going to bed or during a stressful period. For patients with anxiety, pain, insomnia or having a lot of stress, Indica is usually prescribed by doctors since it works great as a pain relief, stress relief, or help you relax and sleep well. For us that don’t need it for medical usage, it’s great to roll a blunt to chill out with your friends, or to replace that beer after a stressful time in your life. Indica seeds grow for 8-14 weeks usually, while Sativa seeds grow for an average of 12-14 weeks. Of course, the longer you grow them the larger they get and the larger buds you can enjoy. The Indica buds give you the stereotypical effects of being high – relaxed and calm. If you are, rather than getting relax, want to be pumped in the morning or before going to the gym the Sativa seeds are to recommend. Cannabis sativa is commonly used as a tool to get energized and creative and have thus the opposite effect than the effect of Indica. Many people also use Sativa to fight their depression. People tend to refer to it as a strong cup of coffee, without the coffee of course. This plant originates from warm climates such as Central America, Mexico or Southeast Asia, while Indica originates from Afghanistan, Pakistan, Tibet, and Nepal. Are you having a slow day at work? Or maybe just want a little bit of energy before going out to clubbing or enjoying time with your friends? Then you could roll a blunt of Sativa. 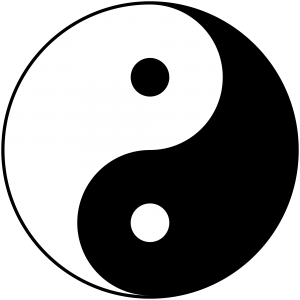 Hybrid seeds are a combination is the best of two worlds combined in one seed. Breeders take the best aspects of both seeds that they form into one seed, we like to call them super-seeds. Want to get relaxed while still having energy? Then these seeds are for you. We have three options when it comes to hybrid seeds, below you’ll find out more about each type. Indica dominant seeds is a seed where the Indica genetics are dominant, and therefore, the effects of Indica (relaxed, calm and being a great stress relief), but will not be as relaxed as what a normal Indica seed would make you – you’d still have the energy to hammer work, but doing it properly and not being as stressed. Great for studying as well. Sativa dominant have much of the same impact, but you’ll feel more of the energizing effect that Sativa seeds give you. We can highly recommend this if you’re stressed out, but at the same time doesn’t want to get too relaxed that you can’t really bother doing anything (even though that’s a great feeling sometimes). Since reality doesn’t stop, sometimes you’ve tasks you just need to do, and that’s why it would be smart to have Sativa-dominant seeds – if you want to smoke one during work-hours, that is. The last seed in the hybrid seed section is the 50/50 split of Indica and Sativa seed. There is not a lot of breeders that only grow Sativa strains or Indica strains, it’s usually a mixture of both. This is because they’ve have put the best effects of each into one strain, you’ll be euphoric whilst being fully relaxed. It’s a great feeling! We truly hope that you’ve learned more about the different types of cannabis seeds, as well as figuring out what type of seed you’re looking for. For a first-timer, we’d recommend either a feminized seed or auto-flowering feminized seed. They don’t require too much maintenance and won’t turn out to be males, which makes it impossible to end up 8-10 weeks later with just some new seeds in your hand. The process of you growing your own plants have just started, and we are excited to see how you progress. If you’d like to share your process please comment below, or tweet us any photos at @greenthevoteok and we will make sure to follow along! As we said before, there is simply no cannabis seed out there that will be one-size-fits-all since there are too many types of seeds as well as preferences. The best cannabis seeds are the ones that fit your purpose and preferences. If any of the types here seem to be the right choice for you, make sure to click on the overview of the seed to read our article about that specific seed.